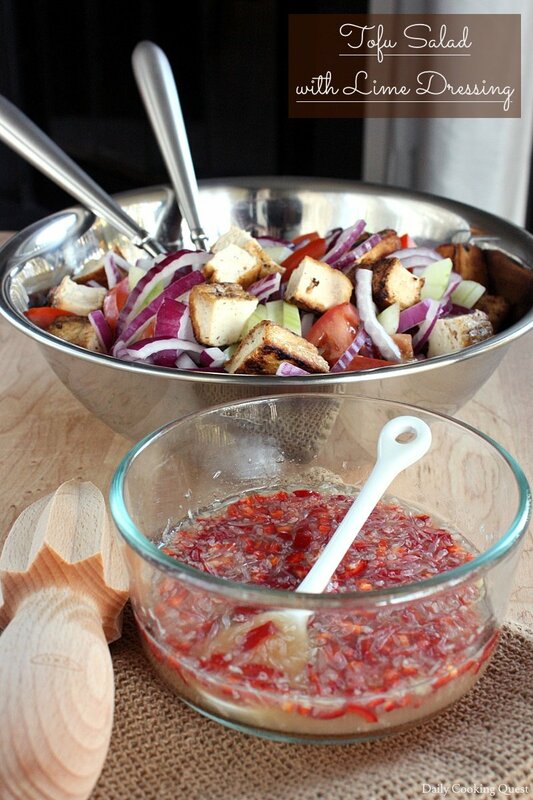 I really love this spicy lime dressing, I think it pairs nicely with a wide range of salad. 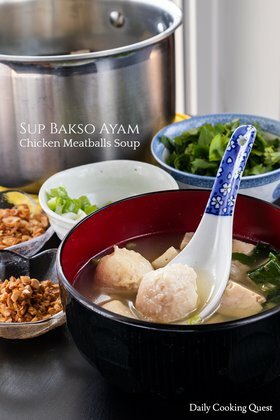 It is sweet, salty, sour, spicy, and with the addition of fish sauce, you can bet it is full of umami as well. 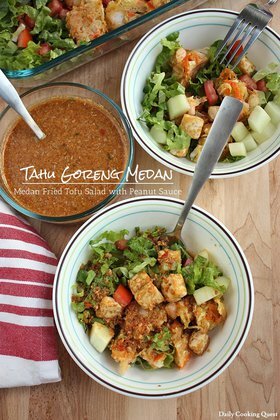 And since the dressing contains no oil, it is very light and is a really good choice if you are watching your calorie intake. Heat oil in a non-stick frying pan. 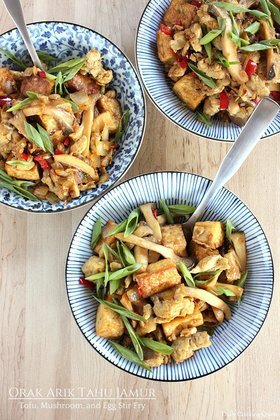 Cut tofu into 8 equal pieces, and pan fried until all sides are golden brown. Set aside to cool, then cut each piece into 2-4 pieces. 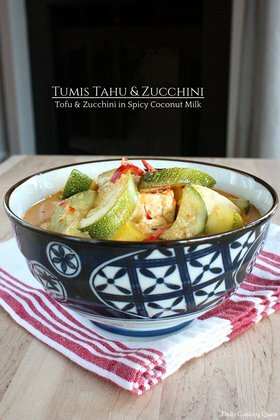 In a mixing bowl, combine red onion, cucumber, tomatoes, and tofu. Set aside. In a small bowl, mix together all the lime dressing ingredients. Adjust the amount of fish sauce and sugar as needed. Prior to serving, pour the dressing onto the tofu and vegetable mixture. Gently toss to coat well. Divide into 4 salad plates/bowls.